2012 was a breakout year for a couple junior racers from the midwest – Josey Weik of Minnesota and David Lombardo from right here in Chicagoland. We’ve followed their seasons closely, watching them make their way up the ranks – to have their hard work rewarded with the high honor of selection for EuroCrossCamp, earn great results at Cyclocross Nationals, and see David going on to make the team to represent the USA at Cyclocross Worlds in Louisville, Kentucky. Naturally, we wanted to pay proper respect to the dedication of these budding champions so we are doing a two part interview series – first with Josey, then concluding with David next week. Come along as we get inside the minds of the future of cyclocross! Josey, 2012 was a stellar year for you. Congrats! Everyone in the Midwest cycling community is so proud of your accomplishments. What were your season highlights and lowlights? My two biggest highlights were definitely Nationals and EuroCrossCamp! I learned a lot and had so much fun. As for lowlights, I don’t believe in those. I had a few races where I had mechanical issues or made mistakes, but I consider every race I entered a success or learning experience. The mission of EuroCrossCamp is to “Prepare America’s Best Cyclocross Riders to Face the World’s Toughest Competition”. You spent 2 weeks living in Belgium and racing in the heart of cyclocross in the dead of winter. Surely it was a highlight of your 2012 season – what did it feel like to get chosen, did you think you would, standouts of the experience, what was it like to work with Director Geoff Proctor, and your biggest takeaway and/or lesson learned? EuroCrossCamp was definitely my season highlight. When I found out, I was ecstatic! Of course, I didn’t really think I would be getting selected. In the end after so much hard work it made me feel like if I could overcome everything and manage this then I could do anything. It actually wasn’t my first time working with Geoff as I also got the opportunity to go to his summer cross camp in Montana. Geoff was amazing to have as a camp director. You can tell he really cares about what he is doing and knows a lot too. As for lessons, I don’t think I can really narrow it down to just one thing. The whole experience really made me grow as a person and as a rider in so many ways! I would have to say the biggest thing (and this helped me greatly at Nationals) was just learning to move through fields and react well to non-ideal situations. You experienced some highs and lows at Nats – second in the non-championship 10-29 race, then finishing sixth and just off the podium following a crash at the start then climbing back to fifth only to be outsprinted at the finish in the Junior 17-18 race. Any lessons learned? Nationals was bittersweet. On one hand, I had lessons learned this year and past years all come together and give me the race of my life. I am very proud that when the pressure was on I pulled out all the stops when it counted. However, I still have not fully swallowed what happened that last lap. I made a mistake in the final minute of the lap and fell over – it cost me my gap to Anders and he outsprinted me. I think my only real mistakes were that I got so excited about being in fifth place that I let off the gas just a tiny bit (mind you, I was still suffering like a dog) and didn’t close the gap to David when I could see him a few seconds up. My second mistake was on the last lap as I kept on concentrating on not making a mistake instead of focusing on riding smoothly. It’s a small difference, but one that anyone who wishes to become professional must understand. Especially in cross. My result at Nationals was fantastic though and I am excited to return again next year as a contender. 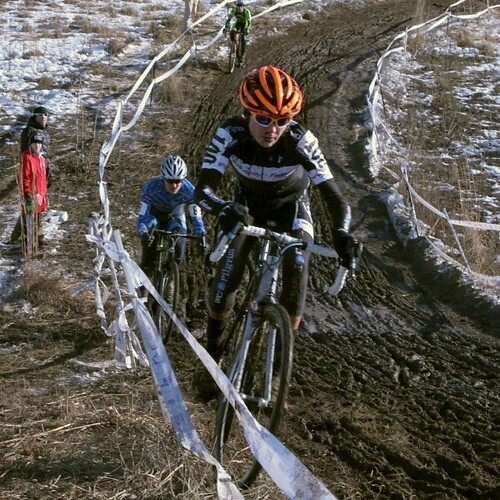 You were on the bubble for making the team to represent the USA at Cyclocross Worlds. Please share your feelings when hearing the news. Any takeaways from spectating the race? 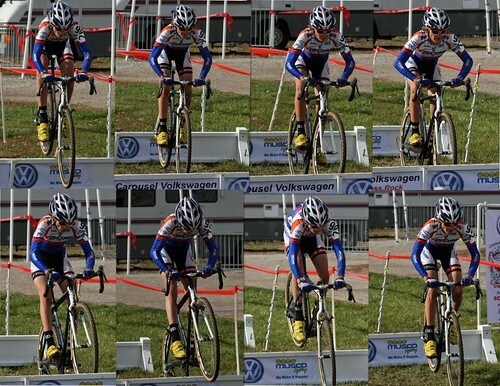 Do you feel confident you’ll make the team for Hoogerheide in 2014? I wasn’t particularly disappointed at first. I mean, I had had an incredible season already and I never really thought I’d make the team until after my Nationals result. 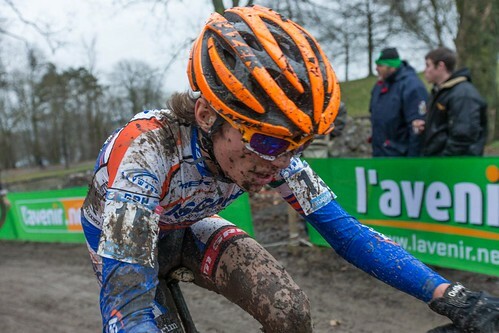 When I went to Worlds and watched the Junior race it was hard. I was just happy to be a part of such a energy-filled event. I am very confident I’ll be representing the USA in Hoogerheide next year. I’ve made it my highest goal to perform well there and in the World Cups leading up to it. There’s been talk that the United States may get a race in the CX World Cup. We’d love to hear your thoughts on this and why it’s essential for the sport to continue growing in the US. I think the US not only showed we have the riders this year, but the crowd and energy for the sport. A World cup in the US is the next real step towards international CX. Also, the more world level competition we get over here, the more inspiration and drive our juniors will have in the future. You’ve had the opportunity to meet several pros over the last year. Do any meet ups stand out for you? I’ve gotten to know a few pros better this year and some definite standouts are Georgia Gould, Ryan Trebon, and Tim Johnson. Georgia is just awesome, I’ve known her for a year or so now, and she always has time to go out of her way and ask you how your race went or talk to you. I got the great opportunity to pre-ride with Ryan at Louisville (USGP Derby Cup) and check out the lines. I think it’s really cool that a multi-time National Champ like Ryan is so friendly. And Tim is just a really down to earth guy that is great to talk to. A wise man once told me “never act like a rock star in a sport that doesn’t have rock stars”. These three athletes really embody that! Is there anyone you want to call out for making your 2012 season the success that it was? There are so many! I’ll keep it short though: My parents, my coach, my team (ISCorp), my sponsors, and generous donors all made this amazing year possible. Cycling really is a team sport on many levels! Due to the nature of your cyclocross training, it has provided you with a special relationship with your dad. Can you tell us about that? It’s not really cyclocross – I have been riding with my Dad from the very beginning. I really can’t stress how important my Mom and Dad have been in my development. Both have always believed in me and given me the tools to do what I dream of no matter what. They’re the best parents ever! Your 2012 season wrap post on your blog focused on goal setting; you set the bar quite high for yourself, meeting most and even exceeding them. Can you talk about the importance of goal setting? For a long time I didn’t like setting goals, at least not performance ones. This year I really learned how to use goals to fuel myself and keep strong when the going got tough. I think it was a very important lesson! I also learned that it doesn’t matter if people don’t think you can do something, or if they write you off. In the end, when you achieve your goals it’s even sweeter. How has living in Minnesota where it’s snowy and cold a good chunk of the year been a benefit to your cycling progress? It’s made me tough. I have always been out in the cold, since I was 4 weeks old. (My Dad used to dog sled race and did the Iditarod back in 2004). I think it has been an integeral part in making me so tough. I also know how to ride on ice, which is a tricky skill. Doping has been all over the news in the last couple months. It would seem there’s a huge temptation and incentive for cyclists to gain whatever edge they can for the best results. What are your thoughts on the situation? I think it’s sad, of course and I will never EVER do it. However, I think cycling has gotten a lot of bad press as a “dirty sport” while trying – and succeeding – to fix its issues instead of just covering it up like football or soccer. Do you have any favorite training habits and/or nutrition that you believe gives you a (clean) competitive edge? Living on an organic farm and having a extremly healthy diet, being homeschooled so I can devote more time to cycling, and having such supportive parents. Any hobbies outside of cycling or interesting facts about yourself that people might not know about? I am an avid reader, homeschooled, live on a farm and raise both pigs and chickens. I love the outdoors! We hear that pro photographer Emily Maye is doing a year long project on developing cyclists are you are one of the three she is going to follow in 2013. Tell us some more about this. What are you planning to do differently in 2013? I am really happy with the way the year went; I just plan to keep working hard and having fun! Where do you see yourself in 5 years – both personally and professionally? Traveling the world as a professional cyclist (either road or CX) on a pro tour team or working to get on one. Personally? Who knows. I continue to surprise myself so I guess I’ll have to wait and see. Thanks Josey – we can’t wait to see how your cycling career progresses. We’ll be following your 2013 season and look forward to seeing you at Cyclocross Worlds 2014! Josey and David were featured in the intro of Behind the Barriers Season 3 Episode 10 as Jeremy Powers runs into them at the Brussels airport while on their way to EuroCrossCamp!